Family Traditions are so important. Growing up we would take a family picture in front of the same mirror at my Grandmas house. Today it is amazing to look at those photos, a snapshot in time taken on the same day every year. Oh how we change over the years. Muscle Man and I have a tradition of returning to where we were married, Point Defiance Rose Garden, and taking family pictures. To see the photos over the years go to my post last year HERE. This year we were a week later in getting to the park and the weather was not ideal, but it didn't rain. Below are a few photos from the day..
Self photo, the best we could do with no one to ask to take a photo. I once walked here in a wedding dressed arm in arm with my Dad. Today I walked with my sons.. The traditional wishing well shot. I could not find my tripod. URGH! Mommy Duck protecting her 3 babies..
On the running front I ran 7.56 miles with Janna last night. It was raining and 6:00 at night. WE got harassed by the local riff raff and ended up running the side of the highway on the way back. 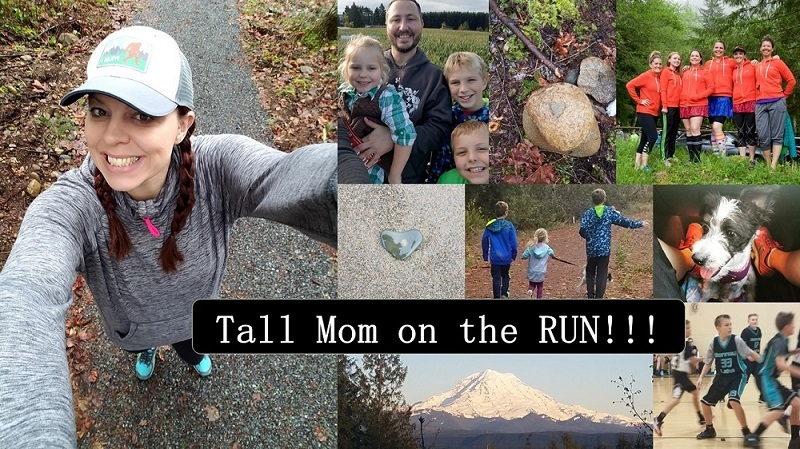 It was great to get some miles in despite the CRAZIES..
What a great tradition, we're awful about taking pictures, we haven't had a family photo taken in almost 3 years. such good photographs!!! you must have albums and albums!!!!!!!!!!!!! i love the plaid on your boys- so adorable. and your BOOTS! rock on mel!! Weekend was easy. I'm resting my shins and also spent time with a family member who lost her husband earlier this week. I absolutely love this tradition! You got some awesome pics this year. You all look great, especially YOU, so slim & trim!!! Great photos! I spent all weekend being sick, bummer! But track coach got some really good work on our fence done! I love your outfit, and since it was 103 here today, I'm totally jealous that it's cool enough for you to wear tights and boots. Way to get your run in! Did a 12 1/2 miler yesterday morning and then relaxed for the rest of the weekend. Love off days! I love your tradition. My created family really needs more of our own. We still observe ones that were from my birth family. I think it's time that I got cracking on some ideas! Glad the crazies didn't cause you any trouble and you got your run in. Have a great week! Great pics... I ran 16 )instead of 15 miles) and my hip hurt... Sunday I relaxed! that's a really nice tradition!! saw the pics on FB and love how the boys kept sneaking in the shots! Your boys (all three of them) are so handsome. Thanks for sharing. I LOVE those pictures! They are so amazing! My weekend was great. I PR'd a 5K and best of all I ran it with my husband. Good stuff! So darn cute/adorable/beautiful/handsome. I think I covered it all!! I love this tradition!! beautiful pics. It's amazing watch the little guys grown ... and you shrink! I love the idea of you going to the same place for a photo -- awesome idea.